After you earned the T-shirt. You’ve trained hard. 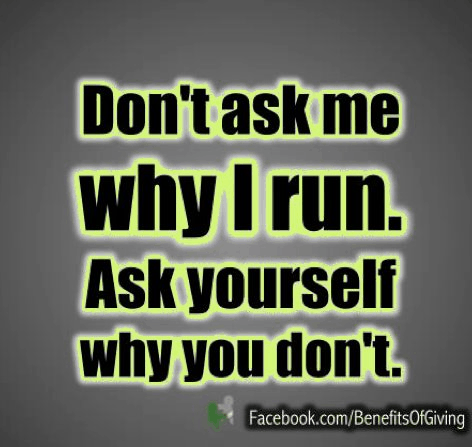 You’ve posted the Couch to 5K plan on your fridge and gleefully crossed off each training run. Each week that you added more running time than walking time is circled or highlighted. There may even be a few squiggles of writing on there with thoughts like “wow! I did it!!”. You’ve shared with anybody who will listen that you are going to race your first 5K. You prepared your gear for the night before. You finally feel like the athlete you always wanted to be. You get up and you are at the starting line and then some minutes or hour later, you cross the line grab the finisher’s medal and think “Nothing is better than this feeling right here”. Most people fit one one side of the fence. Those who have caught the running passion and those who are glad they accomplished something, but running is not for them. I’m talking to those who can’t get running out of their minds. They can’t focus at work or daydream at home while the baby is crawling away with the cat following to witness the coming disaster. 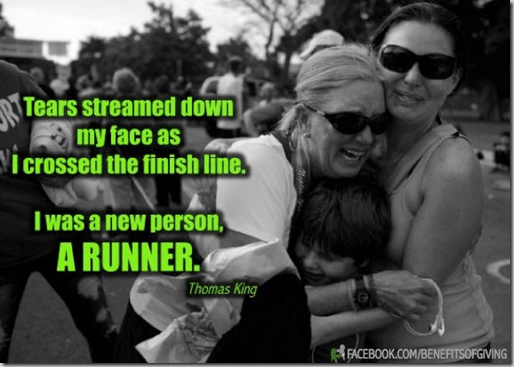 Those who feel that running is now in their blood. That was me. I started the Couch to 5K running 30 seconds and walking 2 minutes. I got to my first finish line in 2006. And I haven’t looked back. Countless 5Ks, 10Ks, 15Ks, halfs, and full marathons later, I still remember the taste of that first finish line. So what happens after that first race? Or that first milestone? Here are a few suggestions. 1. Pick a new goal race, but careful about jumping into longer distances. Most running injuries do not occur in those first few weeks following a flexible program. The running overuse injuries usually happen AFTER that first race when the false sense of security covers you like the mylar blankets. Pick a new 5K. Run a few of them during the spring and fall season. This is the most crucial time to build your base! Take plenty of time to do it right. There are few things worse than being sideline for months with an injury that takes you off the road or trails. Trust me on this one. 2. If you really want to work up to a longer race distance, such as a 10K, find a training plan and REPEAT EVERY OTHER WEEK. Yes, you heard me. That will help build that base so those legs do not revolt in injury. Pick a race far enough in advance so that you can take the time to build up GRADUALLY and repeat each week the long run increases. 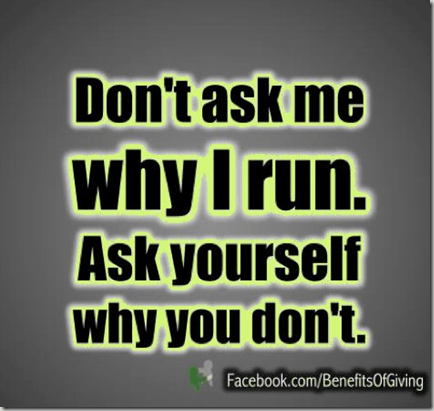 We all know those naturally gifted runners that can jump from 5K to marathon in one year. You may be one of those people. After an extended 10K training plan, keep gradually building. 3. Work on getting faster and more efficient. Work on your stride. Are you a heel striker? You may want to correct that EARLY. Do you waste a lot of energy with arm movements and head bobbing? Do you want to glide like the Kenyans? This is the BEST time you will ever have to focus on the mechanics. Yes, running gait is individual, but it can be improved. Interested in barefoot or minimalist running? Explore it now and have fun. My favorite training plan man. I met him long after I used his plans for every distance from 5K to Marathon. Hal Higdon. The Runners World boards. You can find the answers to almost any questions. Are you a Penguin? John Bingham is your man. I read his books when I first started running and I still refer to them when I need a little motivation.